Welcome, 2012! I, for one, am so glad you are here. I’m so excited to share these pieces with your today. Stina Persson is an illustrator based in Stockholm, Sweden but the reach of her art is worldwide. 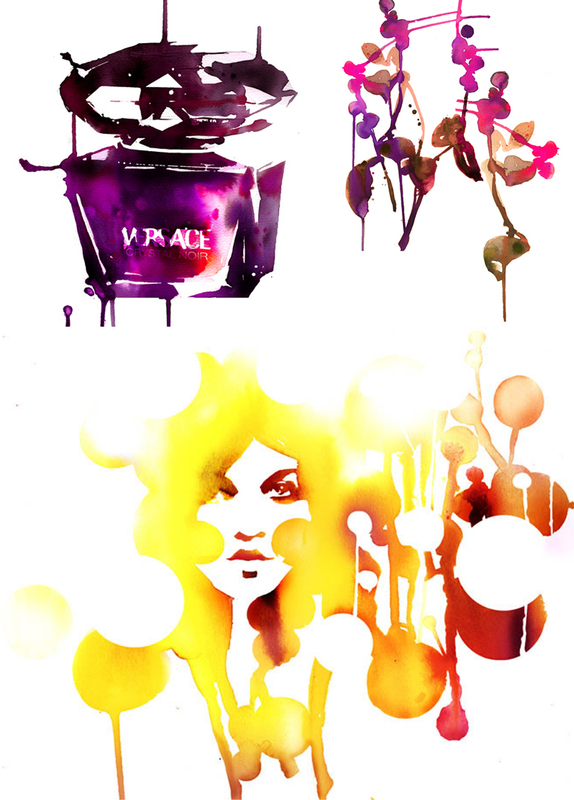 She has created pieces for clients such as Nike, Godiva, Vogue, Elle UK, AE Outfitters, Volvo, Björn Borg Clothing, DKNY… you know, just your average highly creative company… Stina has such a masterful eye for watercolor paintings. Notice how, in several of her pieces, the entire painting is connected with one color, using the negative space, silhouettes, and shade variations to create the form. Beautiful. She is certianly not afraid of color. Each of her paintings are created with big, bold, saturated colors. You can find prints of Stina Persson‘s paintings available for purchase here. Wall candy! Next Post Next post: The Art of Black and White: Paintings take a space from blah, to crazy awesome. Thank you for sharing this artist. Wow, these are so dynamic. I am amazed at the complexity of all the techniques used and their ability to leave so much untouched negative space. Very cool!